There are some color combinations that are typically thought of a certain time of year or around a certain holiday. Think red and green, orange and black, and pink and red certainly fall under that category. However, pink and red can (and should!) absolutely be worn all throughout the year, not just around mid February. Yes, of course, it’s fun and festive to wear these colors together around the holiday of love, but they should not be limited to just then. Wearing pink and red together can be incredibly elegant and beautiful. That then begs the question… Just how does one wear pink and red together without looking like they should be in the front window of a Hallmark store in February? Did you know there is such a thing as a color expert? There sure is! You won’t be surprised to find out we’ve tracked her down for ya! 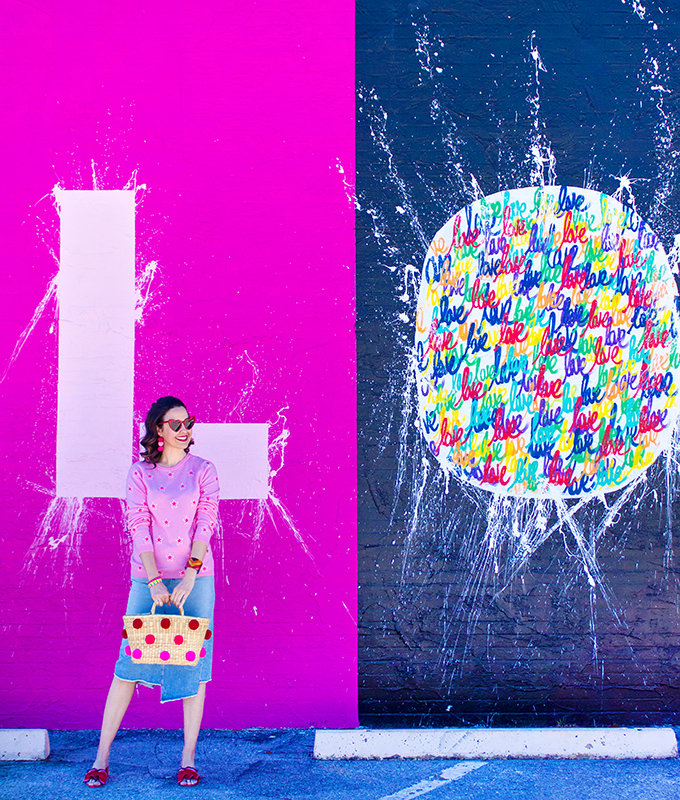 Today, we’ve teamed up with Lauren Battistini, who is as crazy for color as we are! She is a color strategist and analyst and owns LFB Color Consulting. And today she’s sharing with us how to wear pink and red together all year round. Hi there! 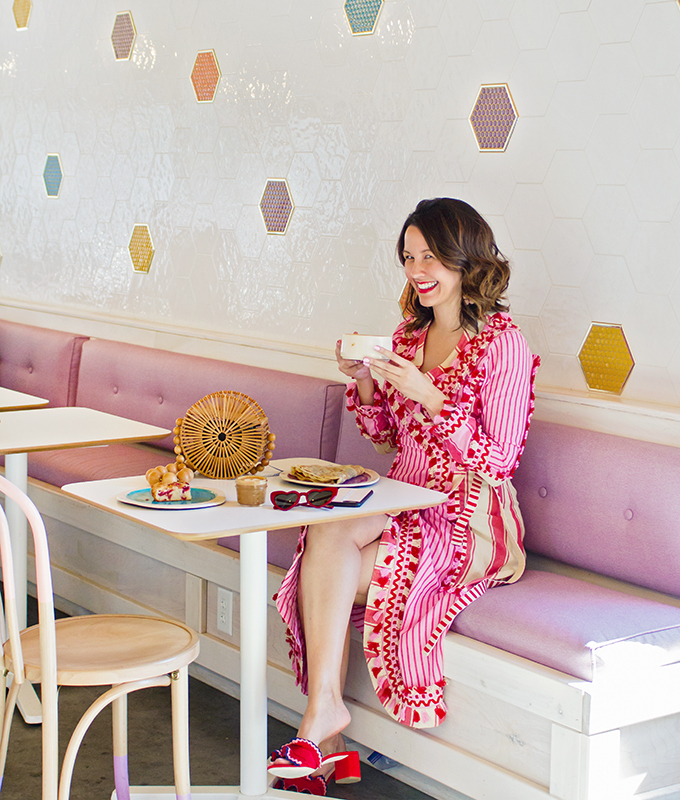 Lauren here, and I’m so excited to talk to you about pink and red, which is a color combination I absolutely adore. First, let’s talk about the meaning behind pink and red. Red is the most alive and powerful color on the spectrum, constantly in motion and demanding recognition. It conveys a message of power, presence, and sensuality. Is it ideal for a first date color? Perhaps in a lipstick, yes, but red can be too forward for a first meeting. The deeper the red, the safer it is as a first meeting option. 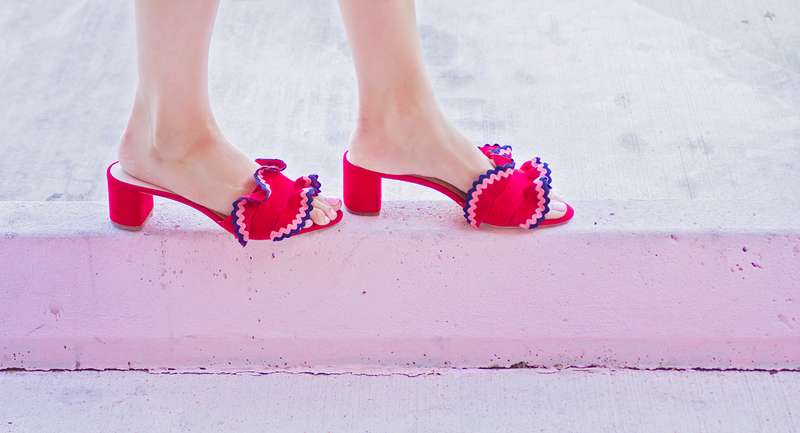 Think berry, burgundy, or brick red. As for pink, messages and meanings vary depending on how vibrant or muted the shade of pink is. Soft and light pinks translate as friendly, warm, approachable, and trustworthy. Bright pinks carry the strength of red but translate as fun loving, energetic, and more approachable. Now, let’s talk about how to wear pink and red. Here are seven practical tips. Invest in a bold red pant, which is a classic and versatile wardrobe staple. Keep the top neutral in cream, camel or gray, and bring in a necklace and cuff bracelet in any pink tone. 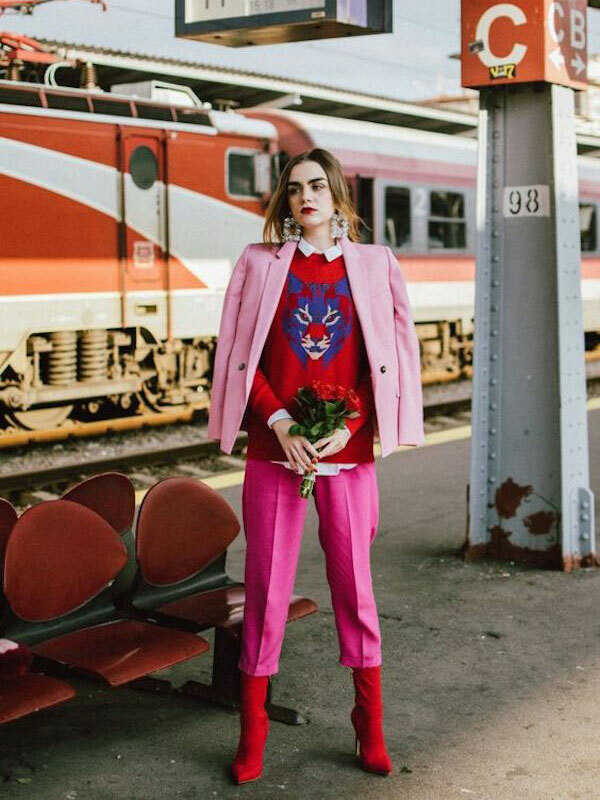 When mixing red and pink, go either vivid in hot pink and electric red or muted in baby pink and soft rosy red. For subtle doses of color, wear a patterned scarf or blouse in pink and red tones. Polish the look with either pink or red nails and lip color, and don’t be afraid to mix the two – pink lip with red nails and vice versa. Infuse pink and red into your work wardrobe with a mauve top and deep brick red shoes and handbag. Pair two reds with one pink. 2018’s top reds are bold tomato red and cinnamon, a brown red. Balance the strength of these tones with warm salmon pink jewelry. For date night, wear a graphic print t-shirt in vivid red with blush colored denim. Add jewelry and strappy heels in rose gold. Go bold by color blocking bright fuchsia and candy apple red blouse and skirt. Glossy black accessories, cat eye makeup and a glossy pink lip complete the look! Carrie has worn, and continues to wear, pink with red throughout the years. 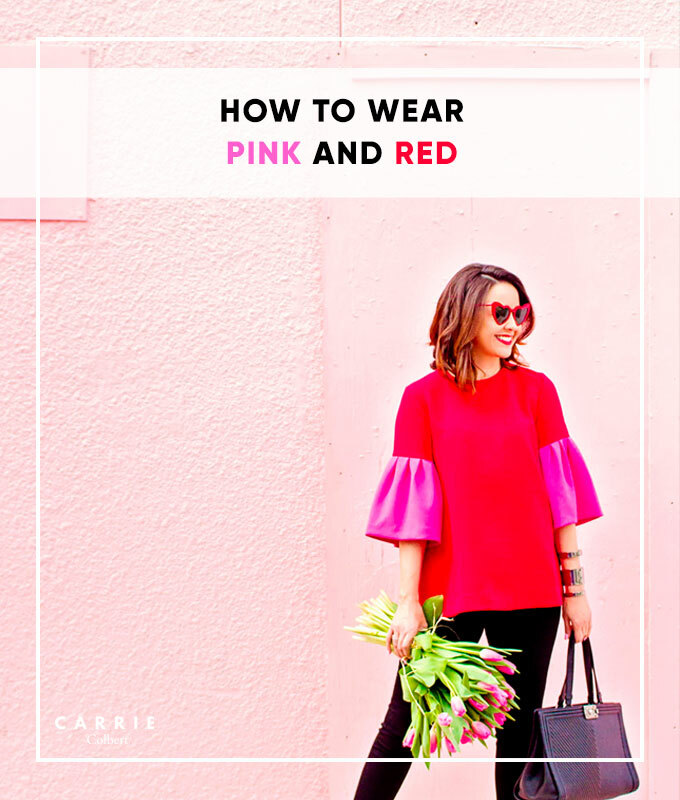 Here are a few of her personal style tips for wearing red and pink. 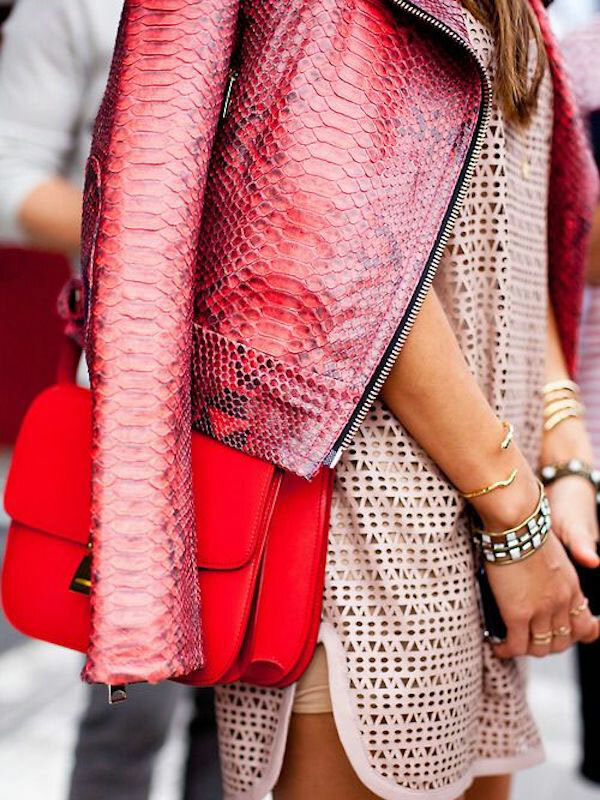 Mix natural materials (like a purse) with red and pink to give it a relaxed, resort feel. 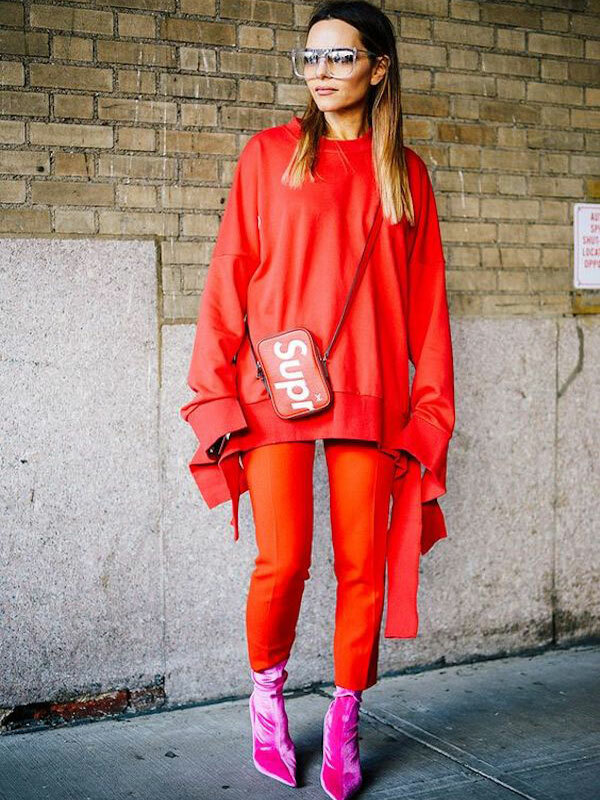 And, as always, we love bringing you street style looks to further bring home our love for a specific trend or color combination. So, keep on scrolling for some of the most fashionable in their red and pink ensembles. 1. 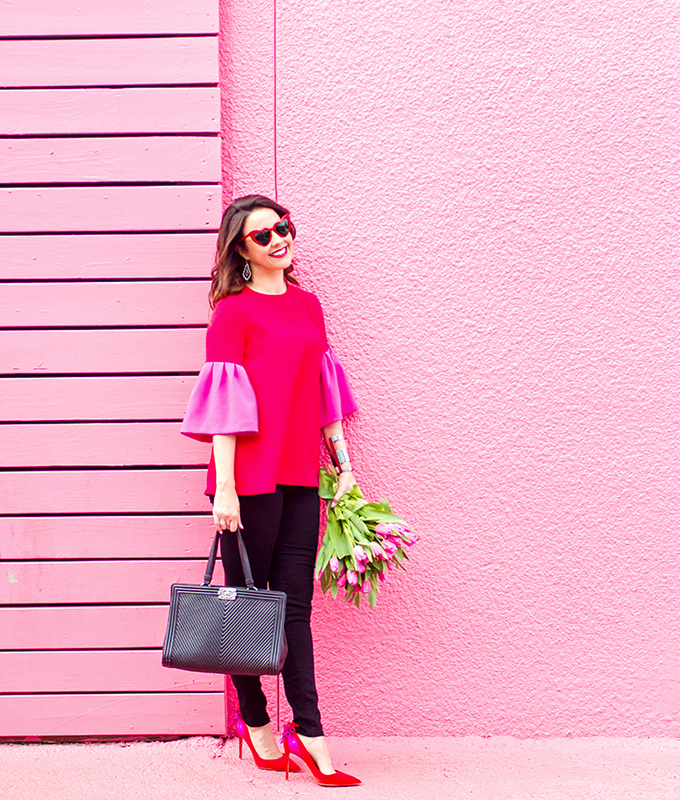 Are you a fan of wearing pink and red together? Anything you’re eyeing from above? Let us know in the comments below! 2. Did you know? Carrie updates her “top 10” items on the homepage every week. Be sure to check out her current favorites! 3. Have a great rest of your day! Such a fabulous post! Love red and pink together! Thanks for sharing all the inspo! Love this post! I invited Lauren to speak to my couture sewing group and she was fantastic! Learned a lot about color. Idea #4 and # 6 are my favs. Hey thanks, Roz! I appreciate your comment. So cool to hear about Lauren speaking at your event. 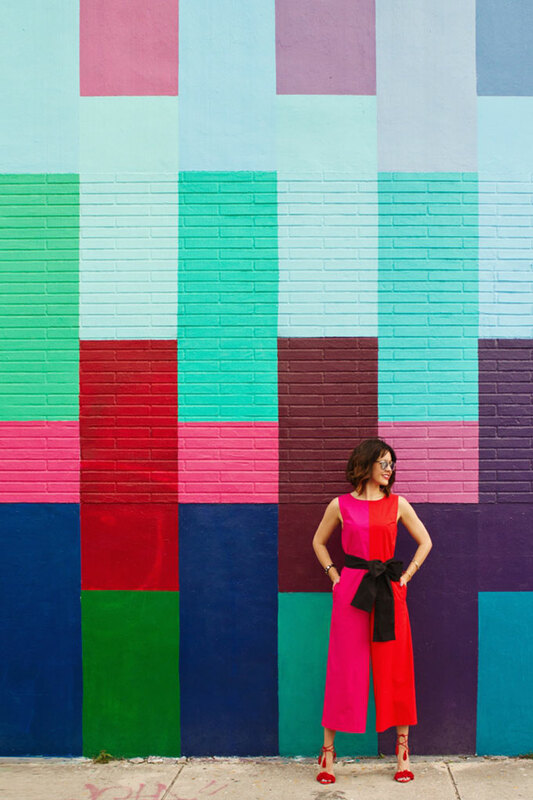 As much as we love color and know about it intuitively, it’s great to have a color expert on board to help us dive deeper.